Enfield is a town and borough in Greater London, just ten miles from the capital’s Charing Cross station. Due to its close proximity to the City of London, there’s a booming property market in Enfield. At My Home Move Conveyancing we’ve been developing our knowledge and expertise of markets like this since 2001, enabling us to bring our clients in Enfield a specialist, fixed fee conveyancing service that’s like no other. When buying or selling property in Enfield, you need to instruct property lawyers to carry out the legal work on your behalf. 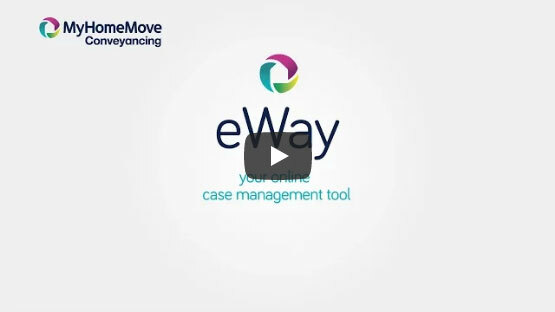 My Home Move Conveyancing offers our clients in the Enfield area an award winning level of customer service, innovative use of technology and intimate knowledge of the local market. Our fixed fee conveyancing service comes with no hidden extra costs to worry about, so when you choose us to be your Enfield conveyancers, you’ll know exactly how much you’re going to pay from the start. For extra peace of mind, if you don’t end up completing, then you won’t have to pay us anything in legal fees. We’ll assign you a dedicated conveyancer, who’ll take care of all aspects of your case right through to completion. You’ll have a consistent point of contact and regular, easy to understand updates. At My Home Move Conveyancing we will assist homebuyers with our conveyancing services in Enfield, from those looking for something in the town centre to neighbourhoods such as Grange Park, Chase Side, Bush Hill Park and Gordon Hill. The average house price in Enfield is £400,486, with detached houses valued the highest at £940,040. Semi detached properties are valued at £604,644, terraces at £412,294 and flats at £293,684. Enfield has grown from its origins as a small collection of communities which surrounded the royal hunting grounds of Enfield Chase. The village green has held a market for several centuries, while there’s a range of other historic landmarks including the 16th century manor house, Enfield Palace. The town centre has seen plenty of recent redevelopment, with the Palace Exchange a buzzing hub for the area. There are excellent transport links in Enfield, as you’d expect from a town so close to London. There’s a range of train stations in the local area, with services to the capital’s Liverpool Street and King’s Cross stations taking around half an hour from Enfield Town and Enfield Chase stations. If you need to use the tube, Oakwood station is just a few miles from the town centre, and very convenient if you live in Grange Park or on the western edge of Enfield Golf Club. Families with children have a great selection of schools to choose from, with primary options including St George’s RC Primary, St Andrew’s CofE and Chase Side Primary. Choices at secondary level include Enfield County School, Kingsmead School, Chace Community School and Enfield Grammar. If you’re looking for higher education facilities, London’s excellent range of universities is on Enfield’s doorstep. All properties in Enfield will fall within one of the following council tax bands.